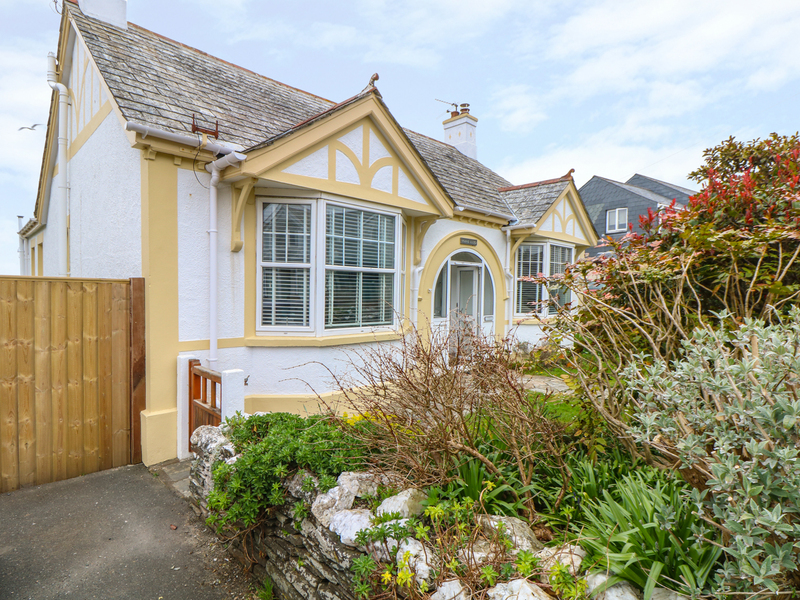 Pound Rocks sits less than a miles from the dramatic coastline in the pretty village setting of legendary Tintagel, famed for historic King Arthur's Castle. From the doorstep enjoy country views, walks and bike rides or seek refreshment at the local pubs and restaurants within paces. This detached bungalow has three bedrooms and can sleep five people, with a smart bathroom with shower too. The sitting room has a wood burning stove and the kitchen with dining area makes a superb social space, with additional conservatory.The garden with lawn and patio offers rest and relaxation, with safe play for children and pets, garden furniture and barbecue. Suitable for families and friends, Pound Rocks makes a superb holiday homestay. Oil fired central heating and wood burning stove. Electric oven and hob, combi microwave, fridge, freezer, washer dryer, dishwasher, TV, DVD, WiFi. Fuel and power inc. in rent. Bed linen and towels inc. in rent. Off road parking for 1 car. Garage for cycle/board storage. Lawned garden with patio area and BBQ. One well behaved dog welcome. Sorry, no smoking. 0.7 miles to coast. Shop and pub within paces.